Are you an online entrepreneur? Do you want to create a brand yourself? And be in control of your brand? Would you like to save hours and hours of your valuable time and have the skills to pull your visual content together quickly? Thought so. Then you’ll pleased to know Beautiful Brand Bootcamp is going save you so much time. Beautiful Brand Bootcamp is a really practical, amazingly simple programme that walks you through the basics of branding and design without overloading your brain. It’s a home study course that you can do at your own time, in your own way, find your feet and learn the very best tools, tips, tricks and branding advice to design your very own brand. Want to design a brand for your business that aligns and connects? But feel that maybe you lack the creativity or skill to do it yourself? Want to create a brand that catapults your business from bland to beautiful? What if I told you that my Beautiful Brand Bootcamp is guaranteed to get you exactly THAT – a brand that you love, a brand that connects with your customers, that aligns with who you are, radiates your personality and will fill you with sheer joy when you market yourself? Beautiful Brand Bootcamp is the ONLY design and branding course you’ll ever need to plan, design and build a brand you love and that your customers will fall in love with too. AND guess what? 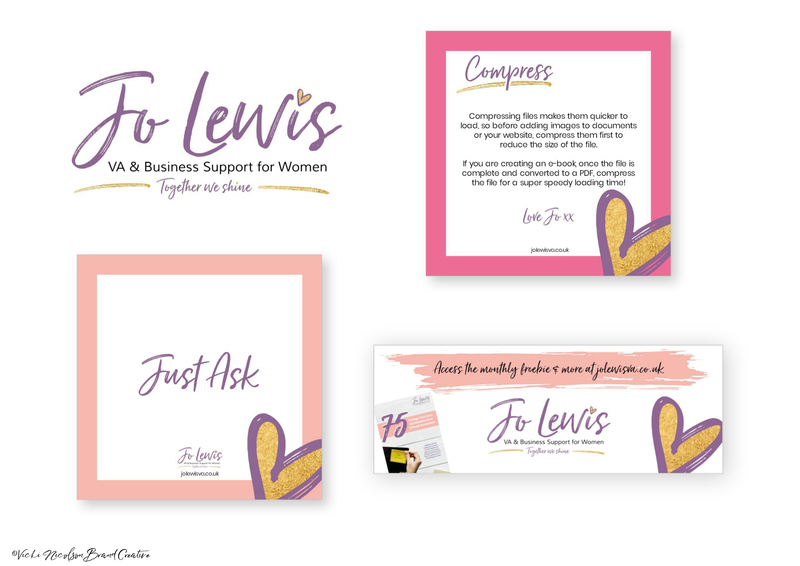 You don’t need to have any fancy design skills, software or experience or arty ability to do the course because I cut through the all the branding and design guff and fluff so that you can create a beautiful brand with ease. Watched heaps of videos on branding and still baffled? Signed up for every webinar promising you the magic key to unlock and discover your brand, and still stuck? Wasted hours faffing with colour palettes and lost in a forest of fonts? You’re fed up going round in circles but there’s no budget to work with a graphic designer? You know that being you is what will sell your services but literally have no idea what that means or looks like? 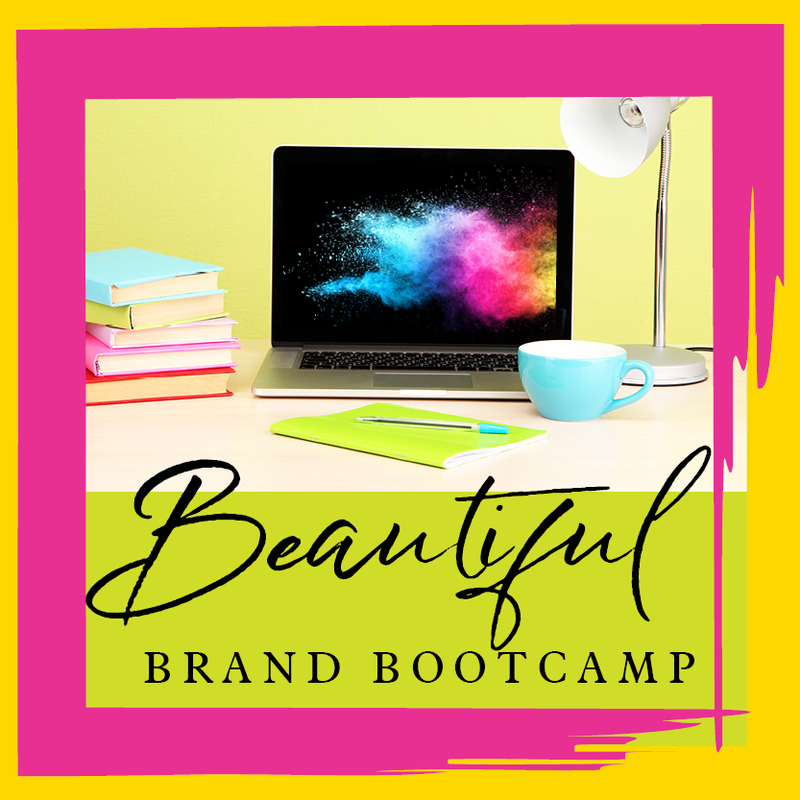 So what is Beautiful Brand Bootcamp? Creating the right first impression, looking professional and captivating your customers is always going to be a challenge if you don’t have the right guidance and support. Especially if your budget is limited or you’re just starting up. Now is the time for you to design your own great consistent professional profit driven brand – Your customers will think you’re the cat’s pyjamas! You’ll be able to create on the go – you know for those moments that you’ve forgotten to schedule your social, want to create something a bit different OR for those bursts of inspiration AND you just have to create RIGHT NOW!? Being clueless about where to start with branding your business. In fact you’re confused about branding and what the heck it actually is! …we will transform you from brand and your business novice in easy-to-follow modules that you can work through at your own pace. We’re gonna Boost Your Brand in the first module – it’s jargon free and non-confusing. You’ll learn what branding does and how it adds massive value to your business. Workbooks, videos and practical guides are included to help you discover the very essence of you and your brand and how to inject that into your visual branding. Visual Styling & Branding – we are going to look at how to visually style your brand and how to truly make your business vision come to life. Design Diva – In this module you’re going to become a design student. Think Karate Kid meets Mr Miyagi. You will learn the essentials of design and how you can apply this to your business. You’ll start to learn about mood boards, logo design, what file types to use where… there’s stacks in here. Be Inspired – where to get design inspiration from, how to find your creative mojo and how to use this in your visual branding and your business. Font Frenzy – You’ll learn how to find fonts, how to match fonts perfectly, where to find free and paid for fonts, how to find the fonts within your existing logo – it’s a font frenzy. Creative Colour – we are going to explore colour, how it has an impact on your business, what they mean and how to select colours that work in harmony together. Inspirational Imagery – where to find free images, where to get styled stock, stock photography do’s and don’ts, how to get the best out of your imagery and how to align photos to your content plus how to sort your image files and build a brilliant graphics library. Creative Canva – how to create with ease in Canva (paid for and free versions), tips, tricks and how to get the best out of Canva. Magic Microsoft – here you start to put into practice all that you’ve learnt about branding and design. You will learn how magical Microsoft is and how you can use it for your visual branding. You will learn the power of PowerPoint. Picture Perfect Picmonkey – learn how easy peasy Picmonkey can be. Online course full of tutorials, workbooks and lessons. You’ll be able to watch, pause, do, come back, watch, pause, do, come back… you can watch again and again until it becomes second nature to you. A unique logo to use across all of your on and offline platforms. Designed personally by YOU! Lifetime access to any and all Beautiful Brand Bootcamp updates. Is an awesome and practical dip-in-dip-out program. Will walk you through the basics of branding and design without overloading your brain. Will help you pull together your branding quickly, set up branding templates with ease (there’s even templates in the course to help you get started quickly). Will show you how to design like a pro so you can inject professionalism across your brand, ensuring your brand is consistent and professional. Are you ready to transform your brand, stand out from the crowd and shine like the true professional you are? In addition, you will also receive a Welcome one to one with myself, Vicki Nicolson. “I am so happy to have discovered Beautiful Brand Bootcamp! The amount of content and information packed in to one course is a serious bargain! The way Vicki delivers the course feels like a “one to one” and she does it in a way that makes sense and it all seem so straightforward. I’m only a short way through the course but already I am looking at my brand in a whole new way, and my confidence has definitely received a huge boost. Not only is this course packed full of branding education, it also makes you think about your business in a whole new way. I have recently set up my own business and this course could not have come at a better time, I’ve learned so much already from Vicki’s expertise. “I am so pleased I decided to invest in Beautiful Brand Bootcamp. I ummed and ah’d for a bit as I am already signed up to a couple of online courses at the moment and was reluctant to take anything else on. I am so pleased I decided to go for it and have no regrets. Surprisingly this course has even helped me with the other ones I am doing as it’s made realise understanding my brand is central to developing the business. I am only on Module 1 and have already had ‘lightbulb moments’. I know this is money well spent and highly recommend it to anyone considering joining :0).” Gail Carman Macpro Design and Print Ltd.